We need to understand nature is the basis for life, we need planning with conservation, not destruction, at its heart. It's hard to fully describe what India stands for. 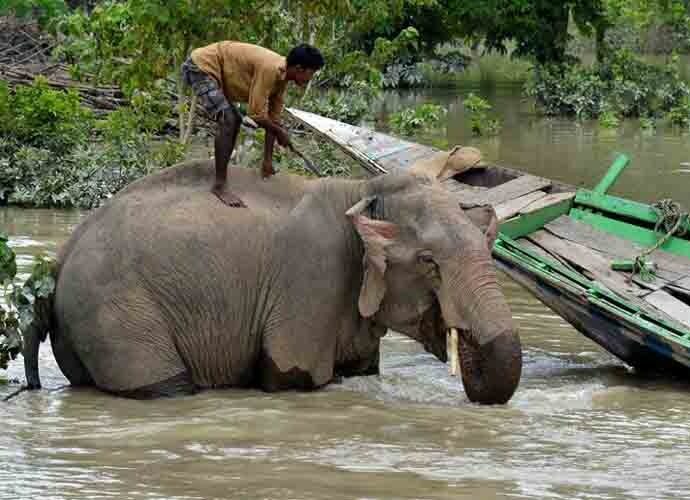 This is the land where paths are made by elephants, and where roads are shared by both trucks and tigers. The land where every colony is redolent with start-ups and non-governmental groups, and where art and craft push their way somehow through plastic-littered roads. Where rivers inspire awe despite the sewage they are made to carry, with the most globally significant tiger, Asiatic lion and Asian elephant populations. 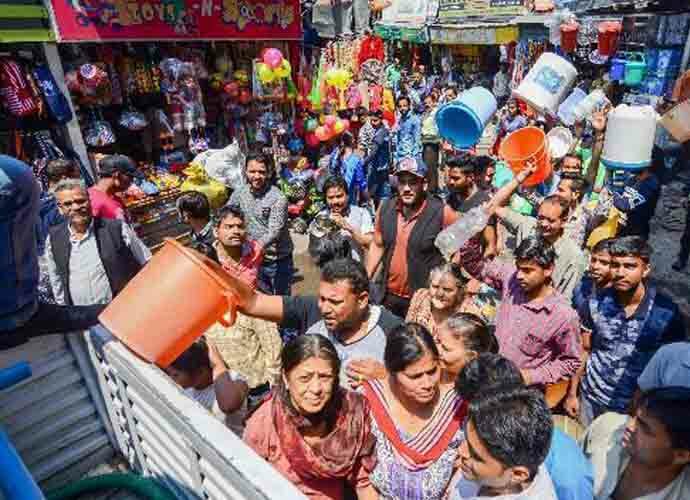 Yet, it is also true that in today's description India will count as a country with high environmental degradation — our holiest rivers are our dirtiest, we have some of the world's most polluted cities, and cancer is spreading — linked to high pesticide use and arsenic poisoning. Cities are under siege as old trees are cut, as construction dust rises, and our rich wildlife is under new threats. India's most cosmopolitan cities, Delhi and Mumbai, are in the midst of a turf battle. The battle is being fought by citizens to protect iconic old trees — Mumbai citizens for Aarey forest; and Delhi's citizens for trees affected by road widening and the development of government colonies in South Delhi. Both cities are large, sweating under population pressure, and coming apart because of it. Residents of both cities have had enough of callous, large projects that don't care for public health — they have gone to court, marched in protests, and have joined hands in solidarity. The message is clear — redevelopment, modernisation, upgradations are fine — but not at the cost of old trees. The protests are to keep trees where they stand, and keep them alive. People are demanding both the right to breathe, as well as the right to shape their cities. While trees have still been cut in some places, residents are showing that the age of city projects that unthinkingly involve felling trees is over. In the push for Make in India and missions for green energy, large tracts of land — notably in Gujarat's Kutch and Rajasthan's Thar desert — have been opened up for solar and wind energy farms. Yet, a lot of this has been done in an unplanned way, leading to a rash of electric lines through what is the last habitat for the Great Indian Bustard. The world's last, viable breeding population of Great Indian Bustards is this arid, hot belt. 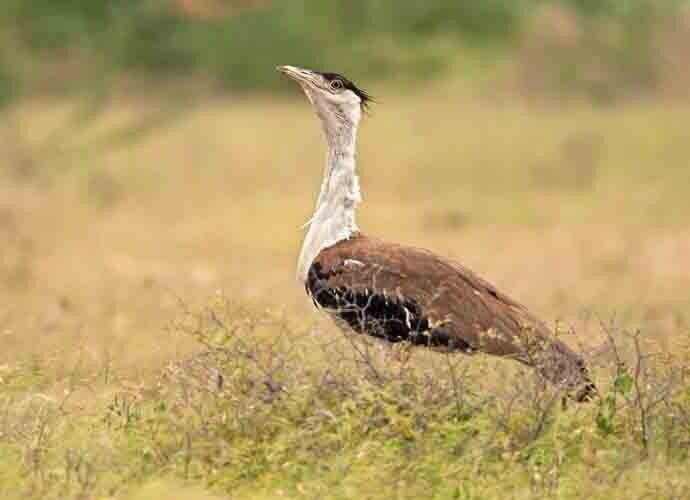 As per new estimates, only one male Great Indian Bustard is left in Kutch. The reason is not hard to understand. Since the last year, five GIB have been electrocuted after colliding with high tension wires in Gujarat and Rajasthan. As these are the last birds in this functional habitat, each death counts. It counts as a gene bank and as a breeding individual. With each loss, we crawl closer to witnessing India's first major contemporary extinction. At the heart of the matter is creating zonation — breeding areas of GIB need to stop expansion of overhead lines. For existing lines, diverters that warn birds of the wires need to be put up. The environmental discourse is not complete without pointing out that environment impact assessments or EIAs - papers and plans submitted by project developers for clearing projects on environmental grounds -have routinely been lying. Some EIAs claim there are no trees where several hundred exist, others claim there is no wildlife, and yet others make up fictional (and ridiculous) species list. For instance, reports say that the EIA for Nauroji Nagar redevelopment has a rather interesting species list. "Bird species" in the EIA include cat, donkey, toad, frogs. And cows. Papers submitted by project developer NBCC for Sarojini Nagar redevelopment claim there are only "thorny shrubs" and some trees on the "periphery" that will need removal. The actual number of trees to be cut is over 11,000. It has been pointed out again and again that EIAs routinely peddle lies. This is obviously meant to obfuscate environmental conservation — but is also not a sustainable business strategy. And India, instead of pretending environmental problems don't exist, let us plan for an economy that prioritises ecology — we need zonations without industrial level constructions, we need to understand nature is the basis for life, we need planning with conservation, not destruction, at its heart.